Miss Paris Group (headquarters: Chuo-ku, Tokyo, Representative Director Akemi Shimomura) held the grand opening of ‘The Men’s Aesthetic Salon Dandy House SOGO CHIBA JUNNU Store’ (Chiba-shi, Chiba) on Wednesday, October 25th. SOGO CHIBA JUNNU opened its ‘experience’ block in September this year after it’s renovation. The block has four floors, and each floor has its own theme. Dandy House had its grand opening on the second floor, the ‘beauty’ floor. The salon’s exterior was inspired by the department store atmosphere, especially the huge display that catches the customer’s eye. 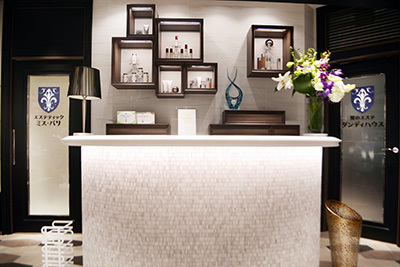 You can feel the excellent quality and pre-eminence of the salon’s services even from afar. This salon truly gives off the ‘dandyism’ feel. It is also not just for me, couples can also enjoy their time together, as the salon is connected with ‘Aesthetic Miss Paris’, an aesthetic salon for women. Dandy House is Japan’s first aesthetic salon for men, which is celebrating its 31st birthday. 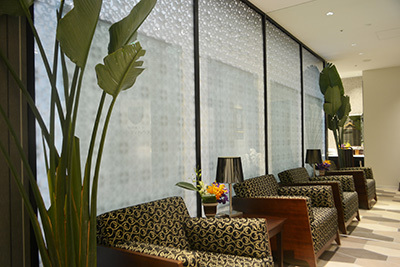 The top-quality salon maintains its reputation by encouraging aestheticians to acquire qualifications and by acquiring the ISO9001 (International Quality Standard Certification). The salon also offers a diverse range of treatments developed by research in collaboration with universities, including its original slimming method, Triple Burn Z, which slimming effects have been verified. Other treatments focus on slimming, beautifying the face, and hair removal, and always prioritize effectiveness. 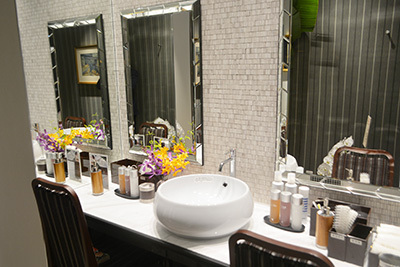 The salon offers top-quality services and techniques, which realize beauty, health, and healing that all men desire. Please take this opportunity to give yourself a treat. ■Grand opening and membership promotion! To celebrate its grand opening, there will be a ¥30,000 (excluding tax) discount on sign-up fees for a limited time. But first, give it a try! For now, your first trial is only ¥5,000 (excluding tax)! You can choose one of the popular courses, such as the men’s diet course, and the men’s hair removal course, for only ¥5,000 (excluding tax) for your first trial. You get to experience the whole course for this price! *This offer is only for persons using Dandy House services for the first time, and are at least 20 years old. The offer is available only once per person. ■You will also be presented with a ‘Dandy House original shoehorn’ to celebrate its grand opening!